The story of Roberto Clemente goes far beyond his statistically incredible 18-year Major League career. Roberto Enrique Clemente Walker was born August 18, 1934, in Carolina, Puerto Rico where he excelled in athletics as a young kid. At the age of 17, Clemente was playing for the Santurce Crabbers of the Puerto Rican Baseball League when the Los Angeles Dodgers scouted and signed him the following year. By 1954 he was playing for their Triple-A team in Montreal. After the 1954 season, the Dodgers foolishly tried to slip Clemente through the offseason without putting him on their Major League roster. Because of this move, Clemente was taken by the Pittsburgh Pirates in the Rule 5 draft for just $4,000. Clemente would be called up to the Pirates in 1955 and would begin forging one of the greatest Major League careers of all-time. For Clemente’s first five seasons, he was nothing special and did not have a season with more than 60 runs batted in. Clemente had his breakout season in 1960 in which he drove in 94 runs with a .316 batting average and 16 home runs while leading the Pirates to a World Series title. “I want to be remembered as a ballplayer who gave all he had to give.” Clemente would once say. Following Clemente’s 1960 season, he would win 12 Gold Glove Awards in a row and after receiving his first All-Star nod, would be selected for 14 more. Clemente would lead the league in batting average four times and hits twice. Clemente would also win the 1966 National League Most Valuable Player Award and in 1971, Clemente would find himself in the World Series once again. Clemente would hit .414 in that series and be crowned the World Series MVP. 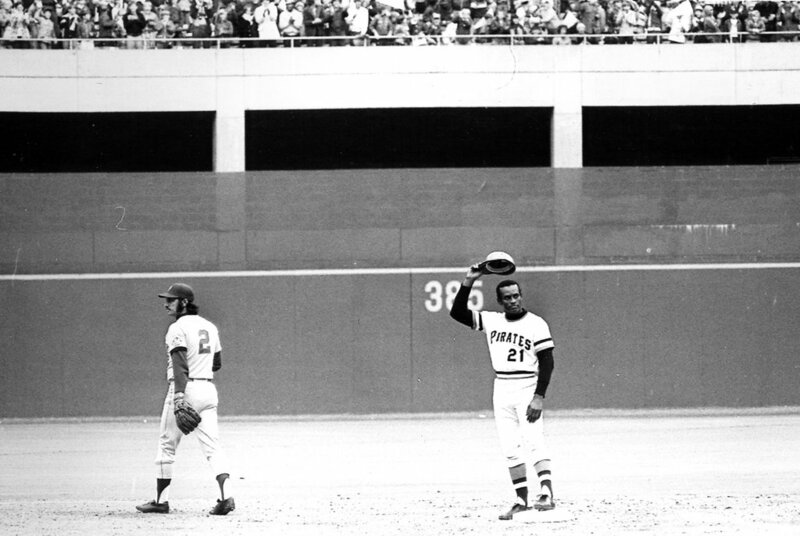 On the last day of the 1972 season, Roberto Clemente would record his 3,000th career hit and became just the 11th player to reach the milestone. “He gave the term ‘complete’ a new meaning. He made the word ‘superstar’ seem inadequate. He had about him the touch of royalty. ” said former Commissioner of Baseball, Bowie Kuhn. “I felt kind of bashful (when the fans went crazy). I’m a very quiet, shy person, although you writers might not believe because I shout sometimes,” said Clemente. Following the conclusion of what would be Clemente’s final season in the Major Leagues, Clemente got on a small plane that was flying from Puerto Rico to Nicaragua to help with earthquake relief on December 31, 1972. The plane that contained a large number of supplies for the mission, along with Clemente himself, crashed just off the Puerto Rican coast. Clemente’s body was never recovered. Clemente was elected to the National Baseball Hall of Fame in 1973 in a special election that waived the mandatory five-year waiting period. 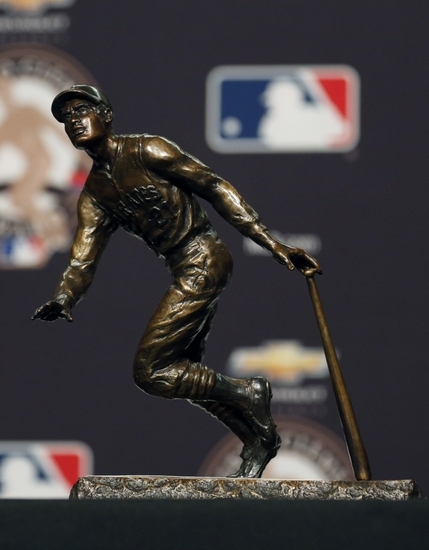 Since 1971, Major League Baseball has presented an award annually that recognizes the player who best embodies the game of baseball, community involvement, contribution to his team, and sportsmanship. In 1972, following Clemente’s death, the award’s name was renamed from the Commissioner’s Award to the Roberto Clemente Award.